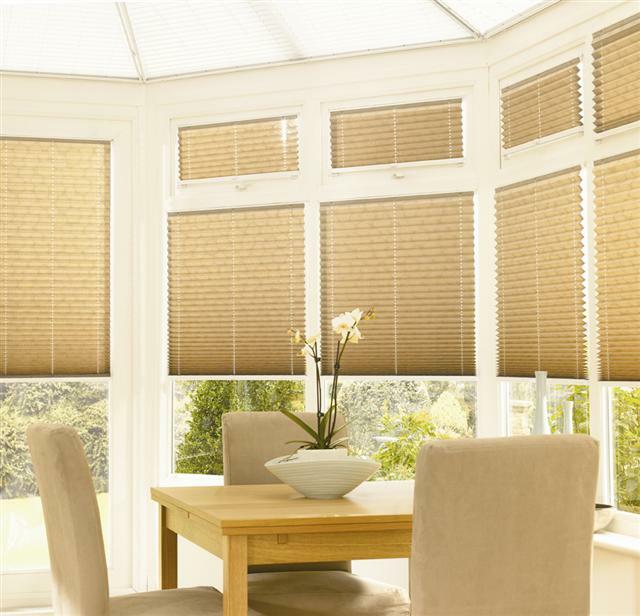 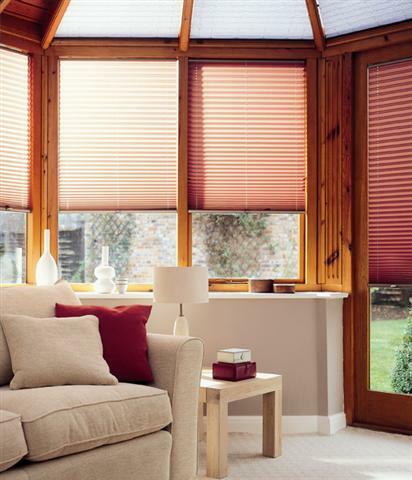 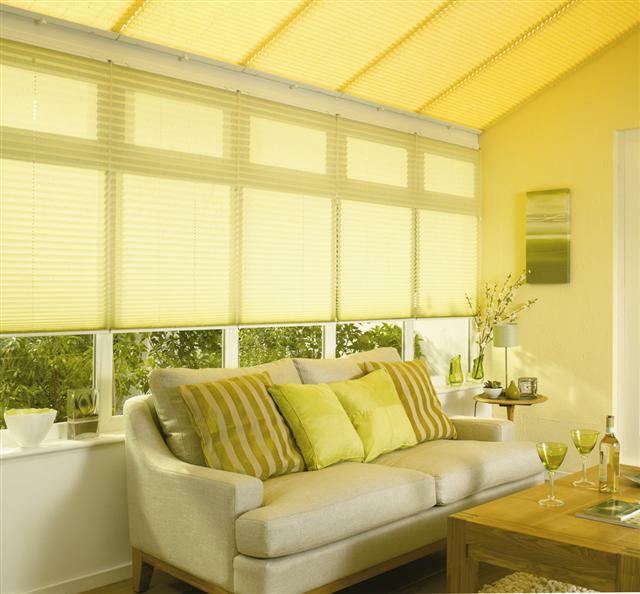 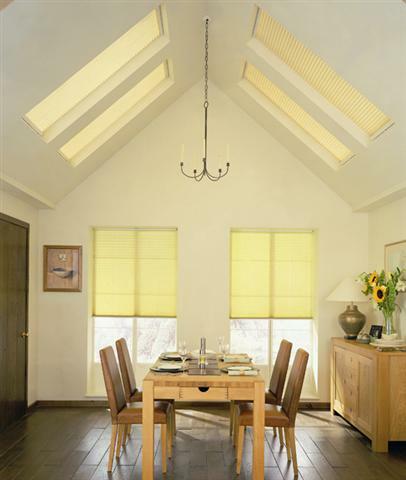 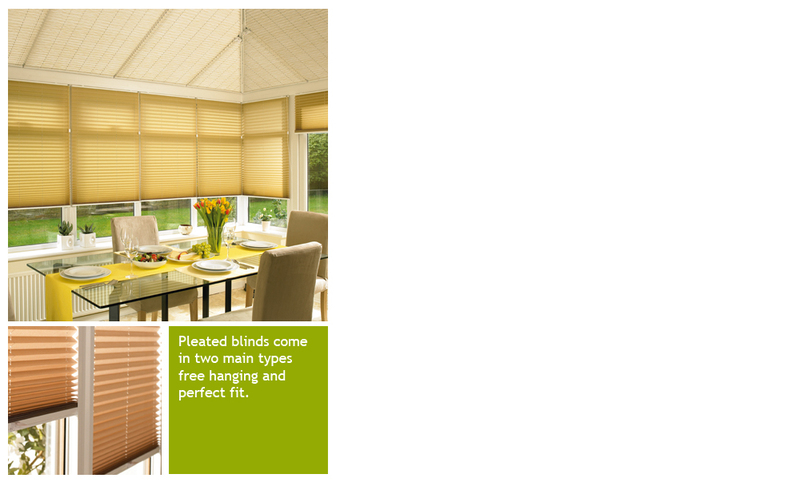 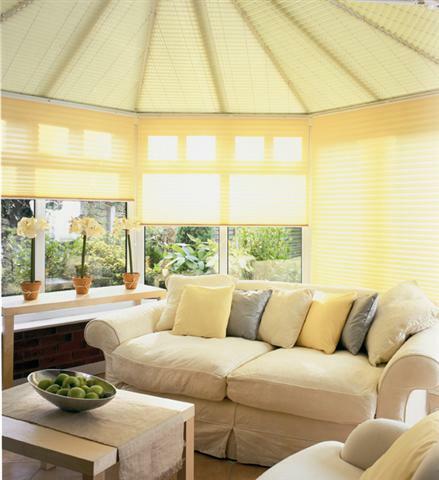 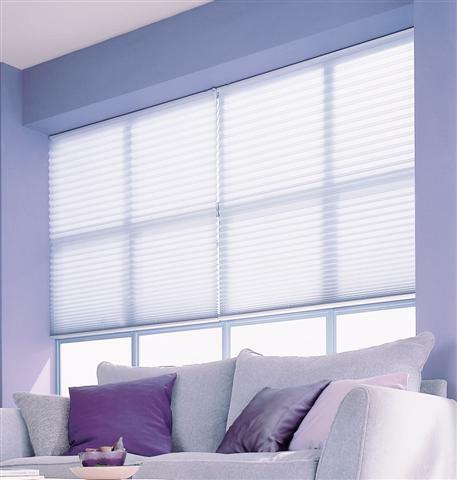 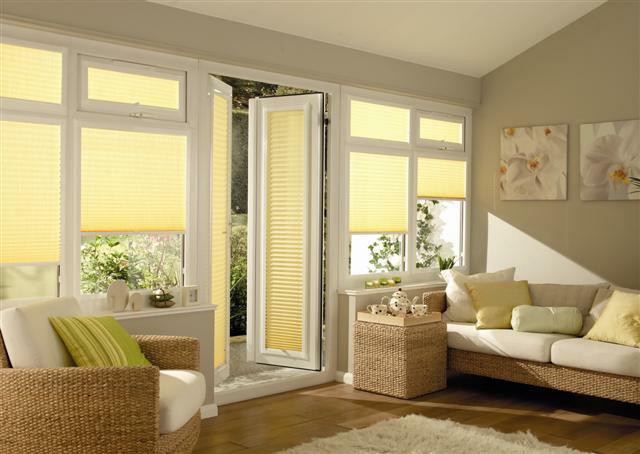 Pleated blinds come in two main types free hanging and perfect fit. 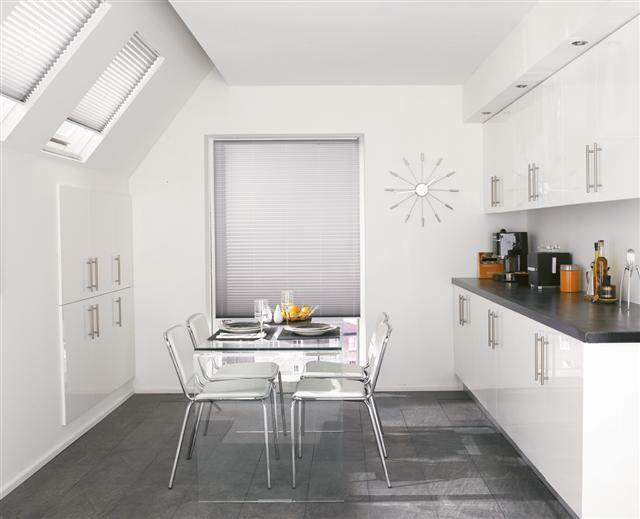 These attractive light weight blinds are made from a large range of attractive fabrics which come in many colours and designs. 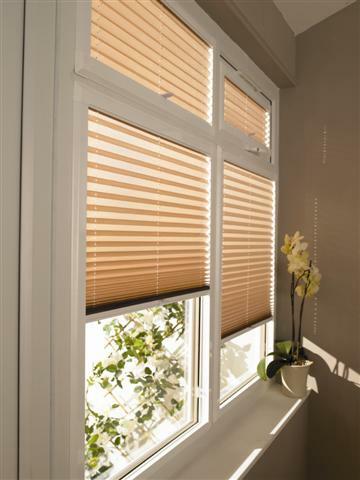 The fabrics are folded into 20mm pleats almost like an accordion and raised and lowered on discreet strings with side or bottom controls. 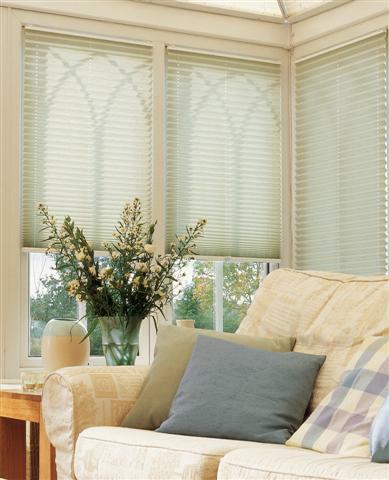 The blinds can be made for any shape window and work very well in conservatoires.